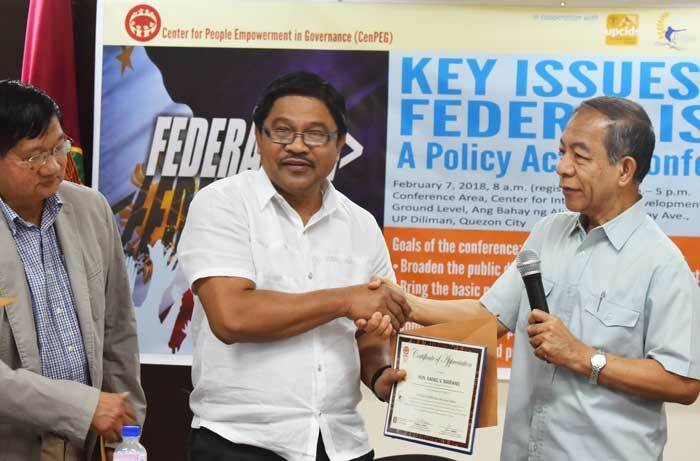 As the Philippine Congress took a break from weeks of stormy debates on constitutional change with the forming of the Puno consultative committee on charter change, the Center for People Empowerment in Governance (CenPEG) held a one-day conference on the fractious issue. 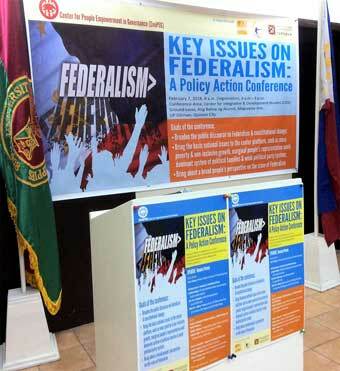 The event, “Key Issues on Federalism: A Policy Action Conference,” was held on February 7, 2018 at the conference hall of the Center for Integrative and Development Studies (CIDS), Ang Bahay ng Alumni, inside the University of the Philippines campus in Diliman, Quezon City. 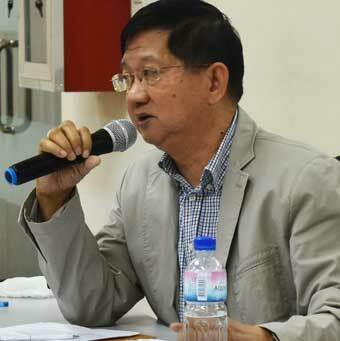 The conference was organized in cooperation with the CIDS’ Program on Social and Political Change (PSPC) and UP Diliman’s political science department. 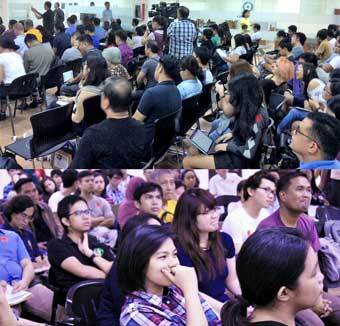 The 1-day conference gathered public intellectuals, economists, lawmakers, and other resource persons representing diverse perspectives. 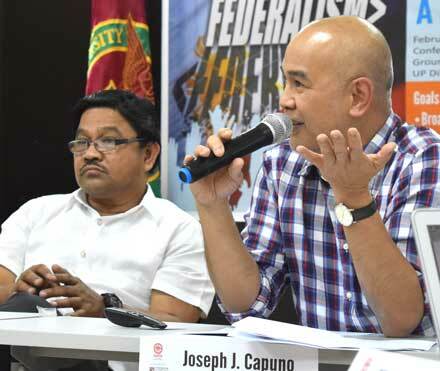 It also served as CenPEG’s opening salvo for an interaction with leaders and representatives of people’s organizations, academe, civil society groups, community organizations, and others so as to raise the level of the public discourse on constitutional change. 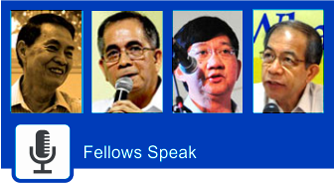 Speakers during the conference included: constitutionalist and former UP President Jose V. Abueva; Jonathan E. Malaya, assistant secretary of the Department of Interior and Local Government (DILG) and executive director of the PDP-Laban Federalism Institute; Prof. Maria Ela L. Atienza, co-convener of CIDS-PSPC and chair of the UP Diliman political science department; lawyer Neri Javier Colmenares, former Bayan Muna representative and chair of the National Union of People’s Lawyers (NUPL); Dean Ronald U. Mendoza, Ateneo School of Government; Prof. Julkipli Wadi, UP Institute of Islamic Studies and CenPEG Fellow; Prof. Joseph J. Capuno, UP School of Economics; Prof. Maragtas SV Amante, former UP vice president and CenPEG Fellow; and Rafael V. Mariano, former secretary of the Department of Agrarian Reform (DAR) and Anakpawis House representative. 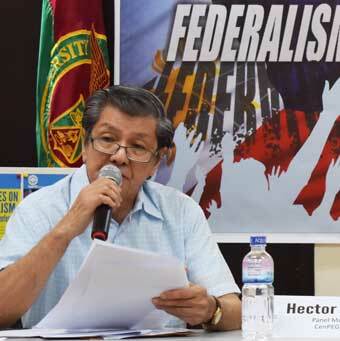 Observed by about 250 people who attended the morning and afternoon sessions of the conference, the speakers – outside the presentation of ASec Malaya who discussed the PDP-Laban model on federalism – raised concerns regarding the shift from unitary system to federalism as a form of government. 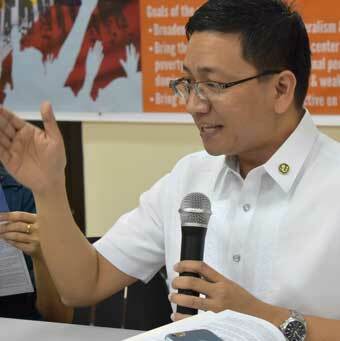 Among the issues were whether there was a need for a constitutional overhaul when reforms can be allowed to evolve for effective decentralization; whether enduring inequities in revenue allocations and generation can be addressed by fiscal decentralization under federalism; and on whether glaring disparities in minimum wages among regions can also be bridged through federalism. 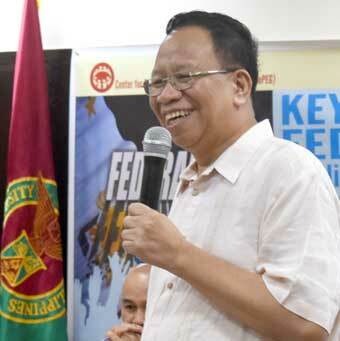 Dean Mendoza commented that a federal system of government will likely increase the number of competing political dynasties. 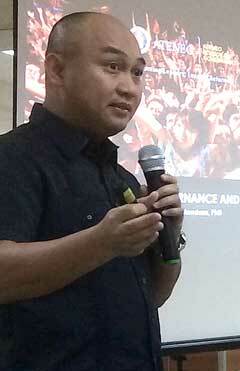 Another speaker, Atty. 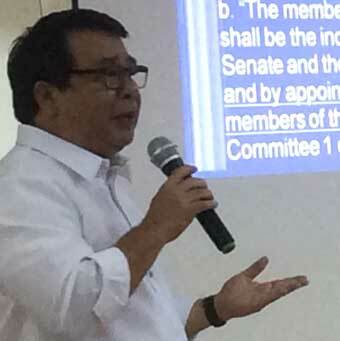 Colmenares, critiqued two proposals for a shift to federalism and cautioned about the charter change move as a tool for institutionalizing authoritarian rule under President Rodrigo Duterte. 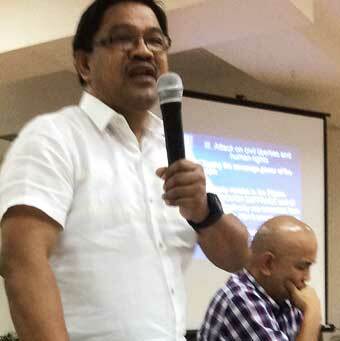 Likewise in the forum were former BM Rep. Satur Ocampo, former UP MassCom Dean Georgina Encanto, and Atty. 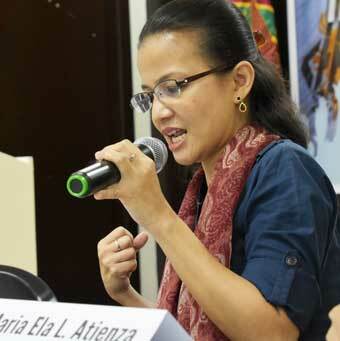 Edre Olalia of NUPL. 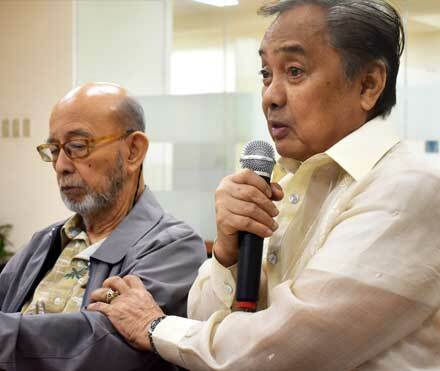 From the diplomatic corps were representatives of the embassies of Japan and Singapore; and of the UN resident commissioner’s office, among others. Conference welcome address was delivered by Prof. Teresa E. Tadem, CIDS executive director while National Artist and former CenPEG chair, Prof. 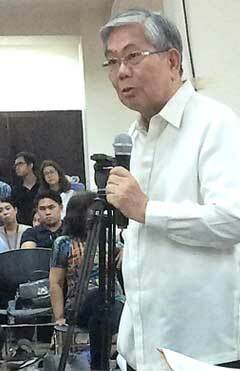 Emeritus Bienvenido Lumbera, gave the closing remarks. 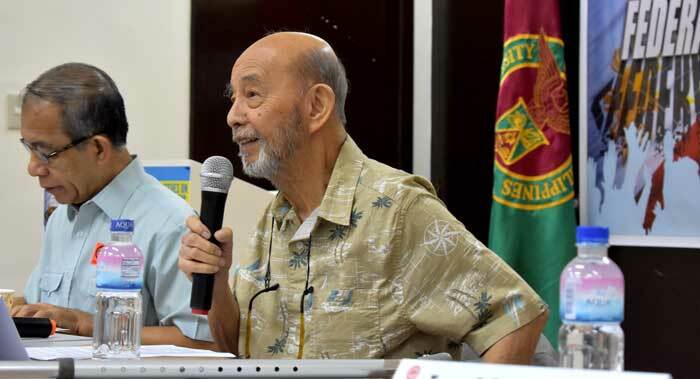 Serving as panel moderators were Dr. Temario C. Rivera, CenPEG chair; Mr. Hector Barrios, CenPEG Fellow; and Prof. Roland G. Simbulan, CenPEG vice chair. 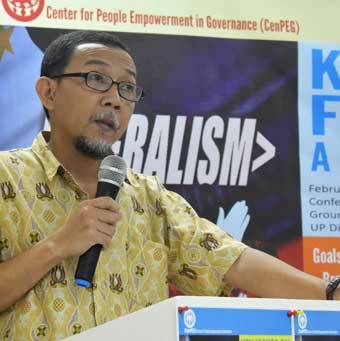 Prof. Bobby M. Tuazon, CenPEG’s director for policy studies, gave the overall synthesis.